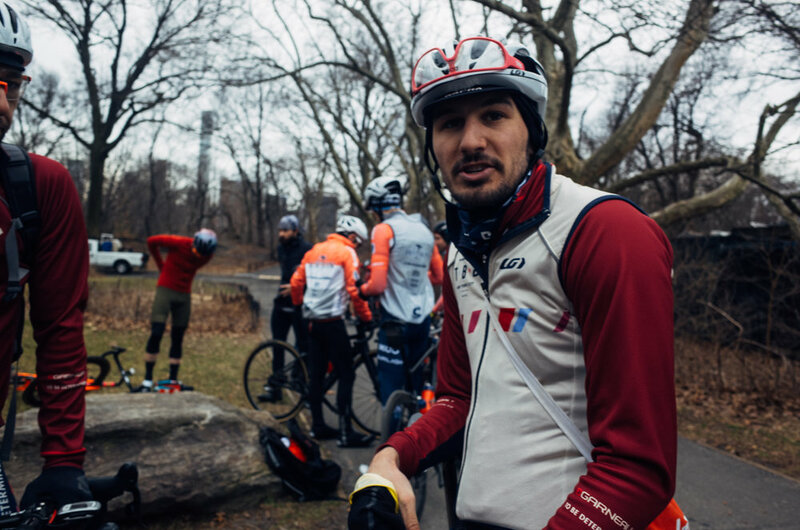 This is my first season racing in Central Park with CRCA and my first race as a member. Through the winter I’ve heard numerous stories both humorous and horrifying of events that have transpired in the park. Taking the good, the bad and the uncertain, I set out into the cold and the wind to gain my own firsthand impressions. The pre-race rush at the registration table where CRCA invested in new iPads this year to improve electronic check-in. Okay, it really wasn’t that cold but the wind was sharp. Certainly not cold enough to justify hiding in the bathrooms pre-race. Yes gentleman, I’m calling you out. 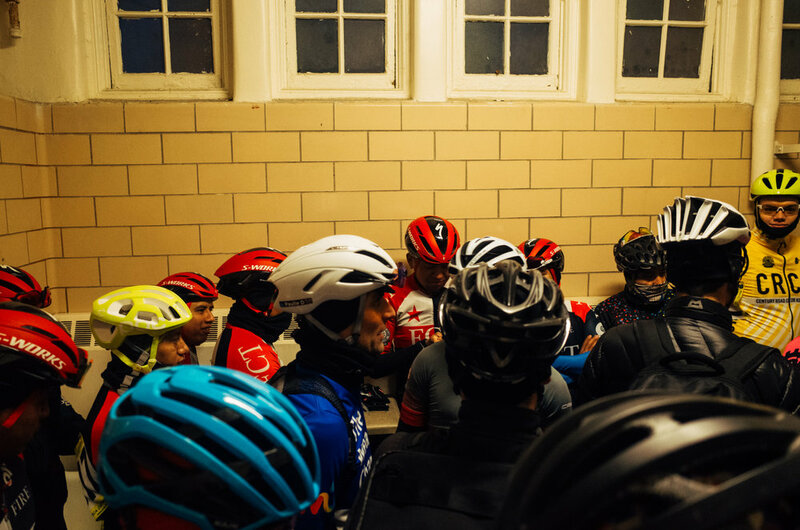 A gaggle of racers trying to stay warm pre-race in one of the Central Park restrooms. When the sun finally emerged and the racing began I was struck with a feeling that I imagine most have had, but have potentially long forgot. We are racing in Central Park! Before moving to NYC Central Park seemed to be this mystical place. A place where morning shows hold concerts, movies are shot, and a place of relative historical importance. Even in the cold and the wind, having the opportunity to go full tilt around the park with some of NYC’s finest is an amazing privilege. 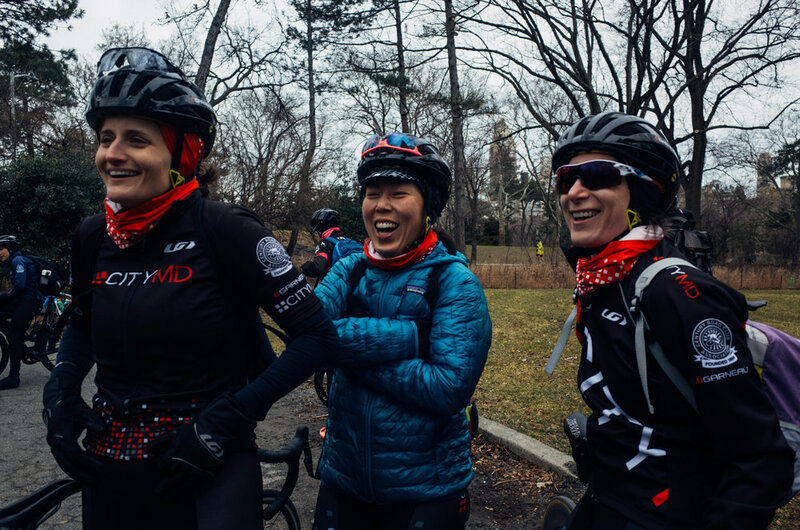 Post-race smiles and story telling with our friends from CityMD Women’s Racing. 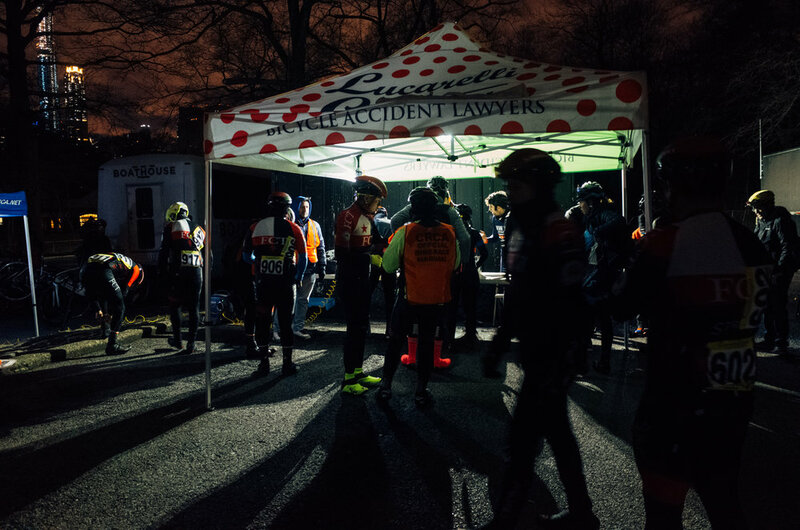 Post-race is where it hit me that CRCA and the Central Park Race series is something special. While CRCA is a club comprised of individual sub-teams, it is also, in many ways, a family. Sure, there are the goofball cousins that we may not agree with, but they are in the minority, and after all what’s a family without a little dysfunction? Overall, it was a great morning and I’m stoked for more early morning shenanigans with the CRCA family.